My letters have tuned into a re-counting of everything that I am learning about the curing of bacon from Jeppe, Andrea, Andreas’s father, Martin Sauer and many others. Though I don’t know this for a fact (I was only a boy in the 1880’s and did not know David well enough to have asked him; nor was I, as a teen, interested in the question), I can imagine that his motivation for his trip to England and the US must have been the same as it is for Oscar, myself and the Woodys team. Seek out new developments that will give us the edge over our future business competitors back home. There is for us the added element that we must still learn the butchery trade. Something that David knew from age 11. I don’t see this as a drawback because it affords us opportunity to learn from many mentors where David had only Uncle Jakobus Combrinck to teach him. Even though Jakobus was a most formidable man, also a mentor to myself, especially during my childhood years, I have come to greatly value the insights of a plurality of mentors. Jeppe, Andreas, Martin and Andreas’s dad all have different talents and areas of focus that seem to complement their talents. All shape our lives in slightly different ways. A few weeks ago I started to learn about the common ingredient, salt! We eat it every day. We own it. Yet, I have never understood it! This ordinary substance morphed, right in front of my eyes, in the cold office of Hendrik Jeppesen in his butchery in Copenhagen, into the supreme ingredient. The food of life! The substance that contains the fullness of the earth. The element of which we live and breathe and have our being! 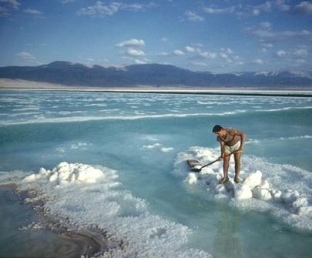 There is so much to teach you about salt and its rich history, that giving it a proper treatment will take many months. I decided to give you the broad brush strokes and spare you the detail. 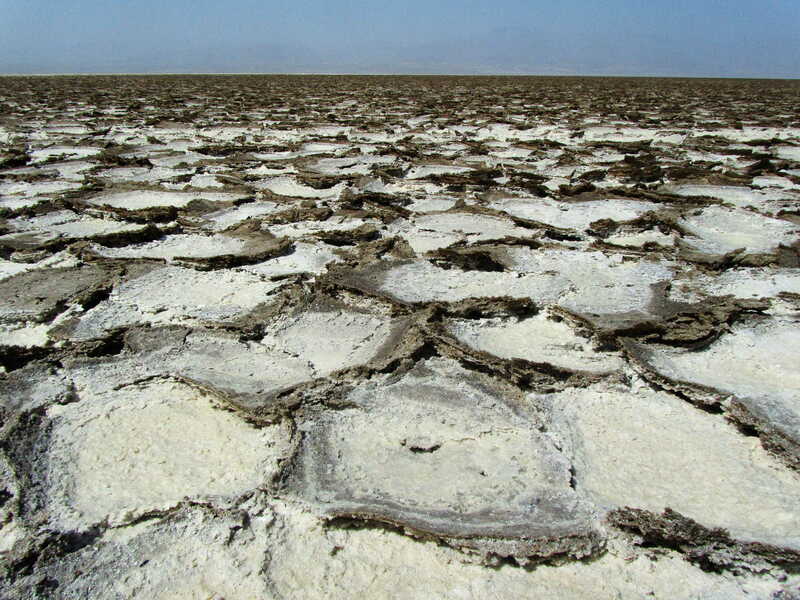 The first important thing that I learned is some salts are mined from the earth, but most are recovered from the sea and from salt marshes and salt springs. The salt works in the medieval French town of town of Guérande employed around 900 salt workers just a few years ago in the mid 1800’s. (Bitterman, M, 2010: 24) and it has been in operation for hundred of years. 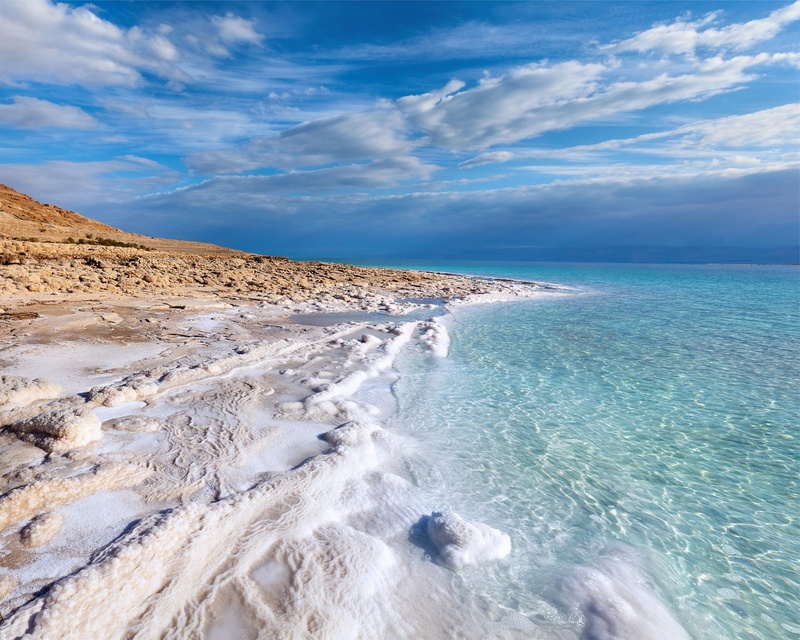 China and North America, everywhere salt was produces from water and rocky salt deposits, remnants of dried salt lakes, springs and the receding sea. How do salt end up in the sea and other bodies of water? Why is the sea salt? These questions plagued humanity for centuries. Aristotle (384-322BC) who observed that salt water was heavier and more dense than fresh water and that it contained more than just salt and commented on both its salt and bitter taste. The Roman natural philosopher and naval commander Pliny the Elder (25 – 76AC) who wrote extensively about it; the philosopher, Lucius Seneca (3BCE – 65AD) who noticed that water level and the salinity of the sea remained constant even though water was constantly being added by rivers and rain. Elaborate quotes from Leonardo da Vinci (1452-1519) who discussed the matter at length in his famous “The Notebooks” (Note 946). Count Louis Ferdinand Marsilli (1658-1730), the first actual marine scientist. Jeppe read long sections from The Histoire Physique de la Mer by Marsilli, published in Amsterdam in 1725. The Histoire Physique de la Mer left me amazed. A true complex mixture of old and new thought. In the late 18th century, our old friend and hero behind the mystery of saltpetre, Antoine Lavoisier (1743-1794) used evaporation with a solvent extraction to obtain data for his analysis of sea water. He wrote papers on sea water and the Dead Sea. Torbern Bergman (1774) examined all natural water and developed a list of the substances that he had identified in sea water. Joseph Louis Gay-Lussac (1778–1850), the famous French chemist and physicist who devoted considerable energy to the study of sea water and its saltiness. The Danish chemist Johann Georg Forchhammer (1794-1865) who focused on an accurate estimation of the principal salt components, such as chlorine, sulfuric acid, magnesia, lime, potash and soda. Georg Forchhammer, who found that the ratio of major salts in samples of seawater from various locations was constant, known as Forchhammer’s Principle, or the Principle of Constant Proportions. The legendary work of W Dittmar (1884) on 77 samples collected by the chemist J Y Buchanan during the Challenger Expedition(1872-1876). Hundreds of years of scientific inquiry eventually culminated in the realisation that the saltiness of the sea was the result of the erosion of the earth’s crust and its transport to the sea by the rivers. Condensation of fresh water from the sea would probably increase the saltiness. Every mineral and element found in the earth is therefore found in sea water, salt marches and salt springs. The hungry monster created by the industrialized revolution had to be fed and one of the foods it loved most is salt. I can understand the focus on sodium chloride, especially from an industrial perspective. If the other components found in sea water is not required to drive the industrial processes; if other elements can complicate it for the industrial machine, why not purify it to the point where almost all other elements have been removed? In experiments done at many of the universities, we already see glimpses of what chlorine can give us. It is truly magnificent! This is however only one of the processes and it is a pity that food is being roped into the requirements of industry. I can see a future time when there will only be pure sodium chloride available as salt and the world will be poorer for it. The salt of the earth becomes the salt of the sea and marshes and springs where the elements from the soil is transported to and combine in a crystal, rich in the fullness of the earth itself. Elements like magnesium, sulfur, calcium, potassium, bromine, carbon and many others. Industrialization take salt to what nature never intended it to be namely pure sodium chloride. Naturally and normally, when this happen, the main thing that suffer is our own taste and the culinary arts that rely on the rich and fullness of the taste of natural salt, brought about by the presence of many elements. There is a move in Europe, as probably across the world, away from the different artisan salt companies, who produce salts, as distinct as different wines from Italy and Spain. It becomes difficult for them to compete with salt that are produced synthetically for industry. Industry also dictates to salt companies who recover salt from the ocean, springs and mine it from the earth to remove every other element except sodium and chloride. Despite the obvious advantages of science and industrialisation, this seems to me a wholly unfortunate move. We are losing our soul! Sacrificing that which is unique and tasty and requires skills, passed down through hundreds of years, for something common and ordinary and universally the same, intended for industrial use. I met with Martin Sauer’s dad since my last mail. He has been to Africa many times. He has been in the pork industry all his life, a trade that Martin now follows. Mr. Sauer told me about his meeting with Livingston at the Victoria Falls. Martin’s dad was in Rhodesia at the invitation of some farmers from the Transvaal Republic (ZAR) who wanted to preempt another Johannesburg emerging in the region and asked him to help them set up a pork farm since there is ample water. Even just to the north of Cape Town are salt works that have existed from the time before Jan van Riebeek arrived in 1652. I intend suggesting to Oscar that we keep using this natural salt with its unique quality and that we get hold of the salts of Ntwetwe to see if the taste differs from that which we find in Europe. I see no reason why we cannot produce bacon in Africa as unique as the bacon from England, Germany, America and Holland. Our aim is to first understand how the Europeans make bacon and then to change it slightly, thus creating a signature product that contains the spirit of the African land. I thought that we would start our consideration of salt by looking at its preserving function. To my surprise we started with salt and its taste. Taste is as important as the preserving function of salt and nitrate and nitrite in saltpetre and sugar that are normally added with saltpetre to mask the saltiness of the meat. If we can alter the taste, enhance it, by the simple act of being very careful where we buy our salt, then this seems like a most excellent suggestion. Jeppe reminded me that if our trade is the production of food, we are in the first place obliged to produce something of superb taste. Despite the fact that I have absolutely no proof of this, I wonder if the function of taste is not to differentiate between what is harmful to us and what our body’s need. If salt that contain the fullness of sea water or marsh salt or salt springs taste better than pure sodium chloride (pure salt as some people call it), does it not stand to reason that there must be something intrinsically healthy in the natural, unrefined salt? Andreas pointed out to me that not all the elements in natural salt may react with meat in the same way and that it is important that scientists apply their minds to these matters. Pure salt may be found to be the best ingredient for food production after all. These matters are complicated. Salt is a “complex crystal.” There is potassium in saltpetre and this does not seem to have a detrimental effect on meat curing. Chilean saltpetre, being sodium nitrate seems to be a most excellent curing agent. Then again, scientists from ages past had great difficulty in distinguishing between potassium and sodium based on taste. What is then the difference between sodium or potassium nitrite? I must learn more about salt. our products must always be safe and taste excellent! Time is flying past in Denmark. Days are short. It started to snow. I have never seen snow. I wish you guys were here to see it. I am learning more than I have ever imagined and still, this is just the tip of the iceberg. The time in Denmark is drawing to a close. Early in 1892 I am planning to visit England, if war has not broken out by that time. Oscar wrote me and told me that he is visiting Cape Town in December to look at land just outside of Paarl. There is an old butchery that we may be able to take over (4). I am very excited. It means that the plan of producing the best bacon in the world is coming together. I also understand that David is planning a trip to Europe very soon. I would very much like to see him again. We have climbed Table Mountain together so many times and he knows the mountain almost as well as Ava and myself. At the beginning of the project I saw David and his Combrinck & Co as our opposition, but I realise that he may end up being our customer. I am very much interested in talking to him about his plans to set up a large refrigeration plant in Cape Town. He may end up being our client and distributor. We need a way to get the pigs from Oscar’s farm to Cape Town. This plan does not seem good any longer since all the pork farmers in Denmark are very close to the abattoir to reduce transport cost. We may have to re-think our approach and draw our pigs from Dave Osborn. I understand he is a very big pork farmer from the area and the best in the country. Oscar is planning to meet with him also in December. Ava has sent me photographs of you guys which I have now hanging in my room at Andrea’s house. Every evening, before I go to bed, a look at your pictures and say good night! Study hard. Spend much time on table Mountain. Life is short! K+S, a German based salt producer, had a production capacity of 30 million tons of salt in 2009. China National Salt had a 19 million ton capacity. Compass Minerals and Cargill each have a capacity of about 14 million tons. Dampier has a capacity of 9 million tons, Artyomos, 7.5 million tons, Exportadora de Sel, 7 million tons, Sudsalz, 5.3 million tons, the Salins Group, 4.1 million tons, Mitsui & Co, 3.8 million tons, Kzo Nobel, 3.6 million tons. Their production is split between salt for industry/ pharmaceuticals, chemical, roads and the food sector. Production is understandably geared towards the production of a pure sodium chloride salt from an industrialised perspective. Everything else is unfortunately and unjustifiably viewed as contaminants. Most of the small salt companies with their unique methods of salt production have been driven out of business by the march of industrialisation. Today there is a strong movement back to these artisan techniques of salt production. Salt remains the most under-valued food ingredient and at the same time, the ingredient with the biggest potential. (3) Betsuhana Land is present day Botswana. (4) Negotiation started with Roelcor in 2013 to take over half of an existing meat factory to be used as the production facility for Woodys Consumer Brands (Pty) Ltd.
Gray, W. 2007. Zambia and Victoria Falls. New Holland.